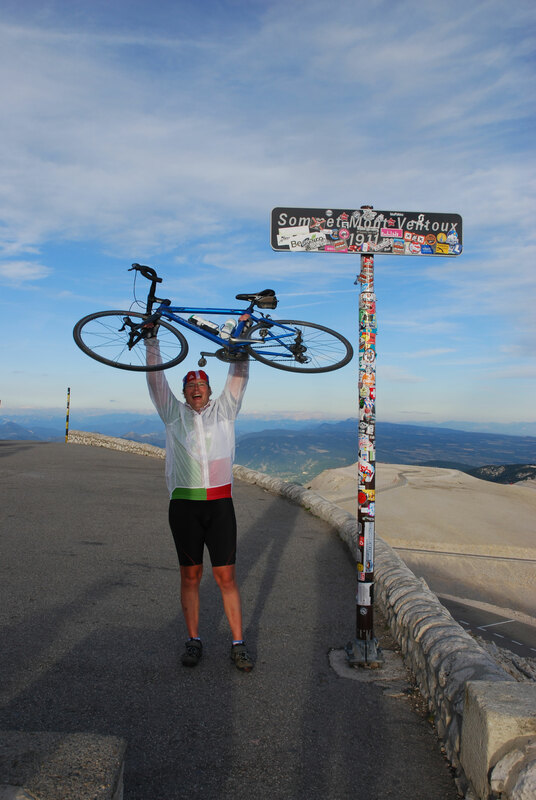 Charlie set up Green Jersey French Cycling Tours having spent all his spare time organising cycling tours in England and abroad. ‘It was an easy decision to make’ he says, ‘I am just doing full time what I did most of the time anyway!’ He had always intended to join the army but this was very shortlived as injury forced retirement before the end of training - but this interest explains the military history tours offered by Green Jersey French Cycling Tours. 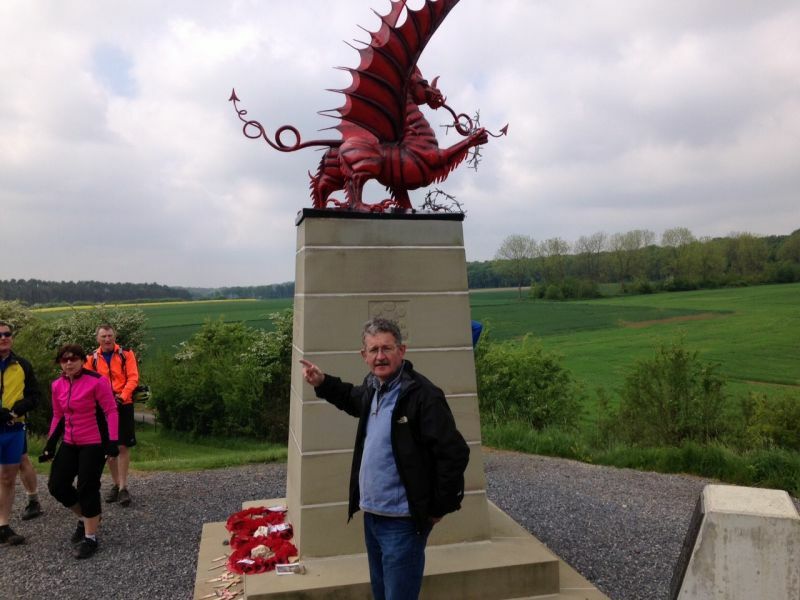 He claims a long lineage in battlefield tourism as his grandfather was one of the first battlefield guides, flying Albert, King of the Belgians, over the Flanders region four days after the Armistice in 1918. 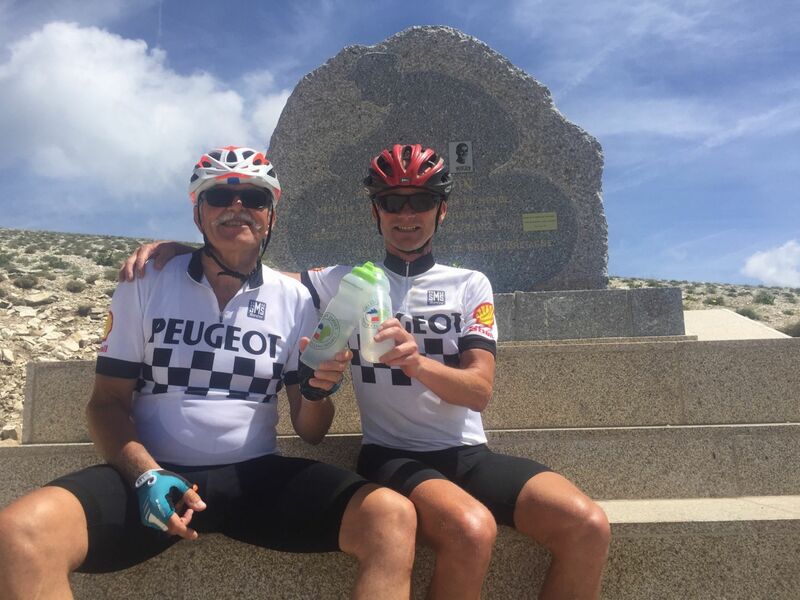 There is more to Green Jersey than battlefield tours however; we operate cycling tours throughout France and our speciality is in seeking out the very best roads to give you the best experience possible. We know from our own experience what you need as a cyclist and we know what makes the difference to your holiday. Cycling can be hard work at times and having someone on hand to offer encouragement or fill your water bottle, or to tell you that there's a nice descent coming up, can be very welcome indeed. Among his palmères are the Raid Pyrenean and the gruelling 1200km Paris-Brest-Paris randonnee having qualified with a series of rides including 200km, 300km, 400km and 600km events, as well as countless tours both long and short. Rides: Orbit Touring bike and Trek carbon road bike. Favourite tour: St Malo to Sete. It's everything a bike ride should be, passing through quiet villages along tiny lanes through beautiful countryside. Ariane is French and is the crucial link between our clients and France. She is well versed in finding good hotels at reasonable rates which are also cycle friendly. Ariane is also a techno-wizard and maintains the company’s website and IT systems. 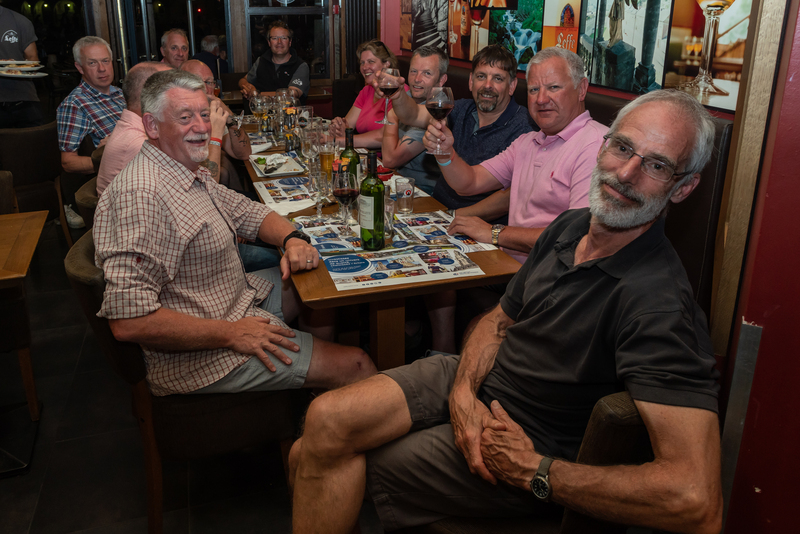 ‘Having been dragged kicking and screaming on my first cycling holiday from Biarritz to St Nazaire I found I actually really enjoyed it’ she says, ‘so much so that the next year I cycled the length of the Loire. I saw places I never knew existed despite being French and it struck home how right visitors to France are when they say how beautiful my country is.’ Ariane is Charlie's wife and is the lynchpin of the organisation. Favourite tour: A tough choice between the Loire Valley Chateaux, which is the area I grew up in so love, and our Bordeaux Superieur, which exemplifies France with a sea of vines and where we stay in a working chateau and taste local wines each night! Simon is a great hit with our riders due to his unflappable nature, his willingness to help and his general attitude to making sure everyone has a good time. After quitting corporate life he cycled to India and has also toured extensively in South America and elsewhere. Simon leads some tours and we get loads of positive feedback about him; he's a real pleasure to have around and is an interesting and amusing fellow to have around on your holiday. Rides: Rourke, Roberts and various other exquisite bikes. Favourite tour: He's too diplomatic to say! John's help on our tours is very welcome and he is another really nice guy to have around. Always willing to help and get stuck in without being asked, he is popular with all who meet him. A note of warning though, if you ride with him he makes it look frustratingly easy! Here he is (on the right) enjoyiong an evening with our riders in Arras on one of our battlefield tours. Rides: A bike that obviously has a secret motor going up hill. Favourite tour: We ought to ask him really! Jon is a retired doctor and former professional cyclist in his youth. Not that age seems to have slowed him at all. Despite his obvious talent and ability, he is just fantastic at getting the best out of people and guiding them up hills and doesn't think twice about dropping back to help those who may be struggling. Living in West Dorset he measures his rides in meters climbed rather than miles ridden! Here he is on the right at the Tom Simpson memorial on Mont Ventoux. The shirt is not a replica but an original from his racing days. Shane is a hard working and fun guy to have around. His cheerful disposition and 'nothing too much trouble' attitude contributes greatly to our clients' enjoyment of their cycling holiday. He always seems to be there just when you are thirsty or need more cake! Favourite tour: Provence. The climate is so conducive to cycling and the scenery is lovely. And we get to ride Mont Ventoux after the tour finishes so that's a bonus too! Andy is a well known historian and an expert on military history. He has made documentaries for the BBC, written numerous books on the subject and has advised Steven Spielberg as historical consultant on two feature films including 'Warhorse'. He accompanies some of our WWI tours and is appreciated for the vast breadth of his knowledge and his wit and humour. Without doubt a fine raconteur, Andy brings history to life. Favourite tour: Great War Battlefields. It's a fascinating and endless subject with which I have been intrigued for decades. Andrew is an experienced traveller and has lived and worked in Europe, South America and Asia. Here he is route testing, and, as always, he has a cheery wave for you! Favourite tour: Normandy, for the quaint villages and pastoral landscape, and it's so easy to get to. Nat is a vital part of the research and development team, helping to seek out the best hotels and restaurants. He also loves discovering hidden places, like this fairytale tower on our Normandy Discovery tour, which we then incorporate into our routes for the enjoyment of our clients. Favourite tour: Difficult to choose. All the tours have a unique flavour and France is so diverse. I'm particularly fond of the the Carcassonne area so the Canal du Midi ticks all my boxes! If you are interested in seasonal or permanent work please send us your CV and a covering letter. We are always keen to hear from people who share our values and our love of France and cycling. If you wish to be considered for guiding jobs in France it is a pre-requisite that you have a driving licence and have a good command of French.